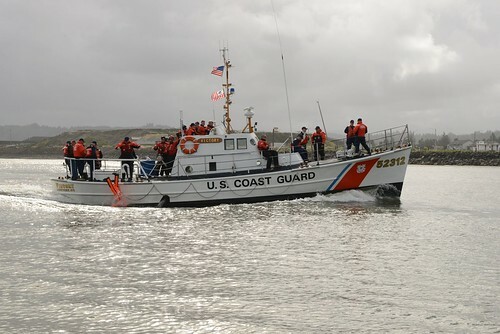 SAN JUAN, Puerto Rico — The Coast Guard transferred custody of three Dominican smugglers and approximately 1,100 pounds of cocaine to the Drug Enforcement Administration Tuesday, following an at-sea interdiction by the Coast Guard Cutter Tahoma March 18, 2015 off the coast of Guayama, Puerto Rico. The interdiction was the result of a multi-agency law enforcement effort in support of Operation Unified Resolve, Operation Caribbean Guard and the Caribbean Corridor Strike Force. The drug shipment was estimated to have a wholesale value of approximately $16 million dollars. While on a routine patrol Wednesday evening, the crew of a Joint Interagency Taskforce South maritime patrol aircraft detected the suspicious go-fast heading towards Puerto Rico with three people and possible contraband on board. 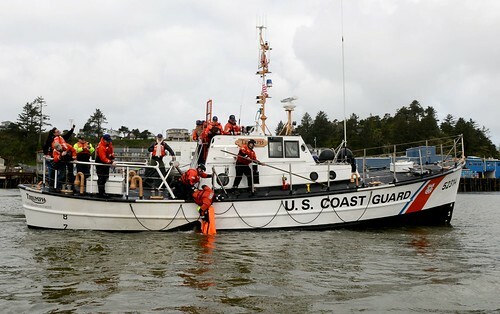 Coast Guard watchstanders in Sector San Juan diverted the Coast Guard Cutter Tahoma, carrying an armed Helicopter Interdiction Tactical Squadron (HITRON) MH-65 Dolphin aircraft onboard, to interdict the suspect vessel. The HITRON helicopter, launched from the Tahoma, arrived on scene with the go-fast vessel. The HITRON crew vectored-in the Tahoma’s Over-the-Horizon (OTH) boat alongside the go-fast vessel as it was taking on water. 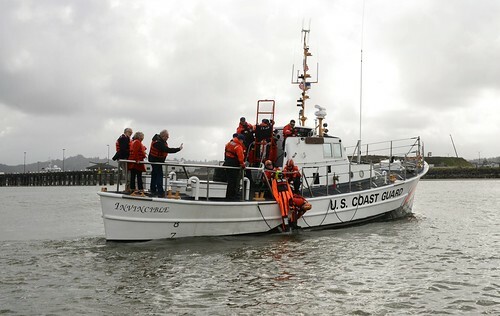 The crew of the Tahoma cutter boat proceeded to embark the suspected smugglers and 14 bales of suspected contraband which tested positive for cocaine. 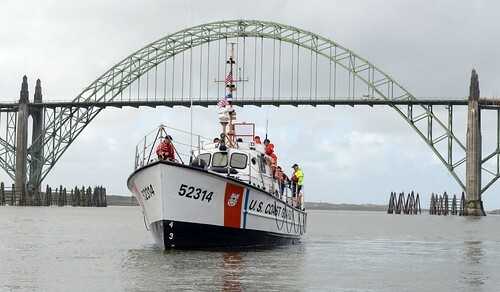 The cocaine and the suspected smugglers were transferred from the Tahoma to the Coast Guard Cutter Escanaba for transport to San Juan, Puerto Rico, where they were taken into custody by Drug Enforcement Administration Special Agents. 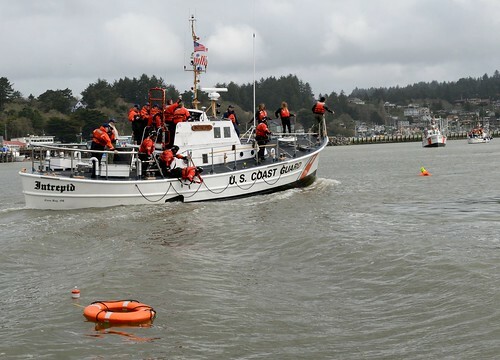 Since January 2014, the Coast Guard has seized 15,671 kilograms of cocaine and 5,320 pounds of marijuana during 16 counter-drug interdictions as part of Operation Unified Resolve. The wholesale value for these seizures is worth more than $524 million. 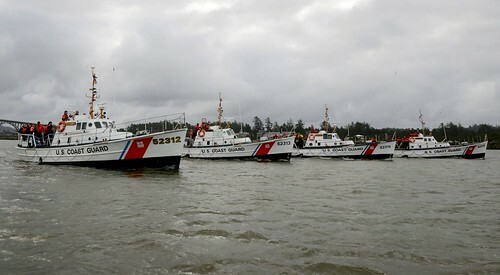 The Coast Guard’s efforts under Operation Unified Resolve contribute to the interagency results being achieved locally each and every day under Operation Caribbean Guard, which coordinates efforts between the Coast Guard, DHS and Commonwealth and Territorial law enforcement partners, who are working diligently to deter, detect and disrupt illicit maritime trafficking to Puerto Rico and the U.S. Virgin Islands. The Tahoma is a 270-foot cutter homeported in Kittery, Maine. 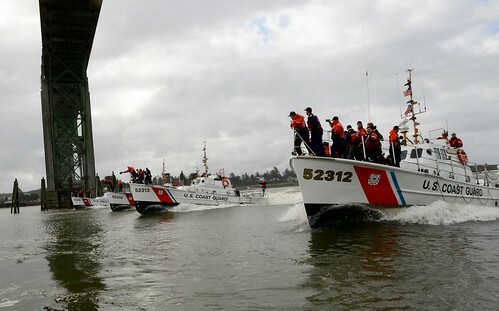 The ship and crew execute maritime law enforcement, homeland security, and search and rescue missions in support of Coast Guard operations throughout the Western Hemisphere. Congratulations Tahoma! Keep up the good work and stay safe!